Please note that all deliveries take between 3-5 days from order, shipping is for the UK mainland ONLY. All orders placed over a bank holiday may take longer to dispatch. 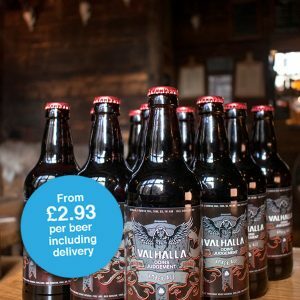 Valhalla IPA is a fantastic light amber IPA brewed by our friends at Yorkshire Heart Brewery on the outskirts of York. 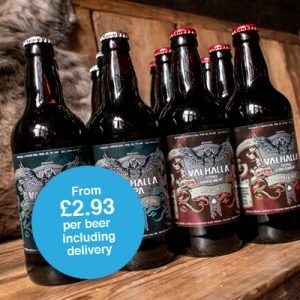 Valhalla IPA is a session IPA that appeals to the masses. 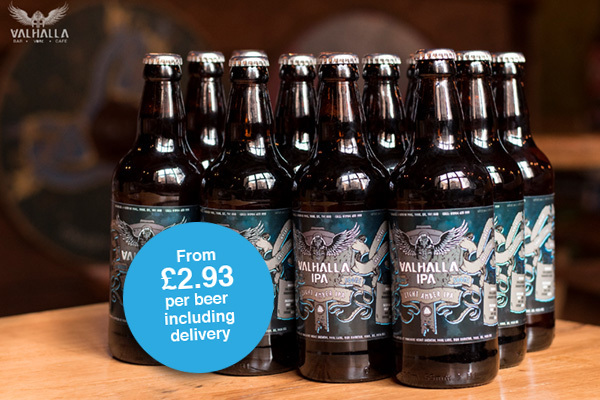 It is brewed using Maris otter pale ale malt and torrified wheat to give a light gold colour with a crisp white head. It is hopped using a blend of Liberty, Cascade, Chinook and First Gold hops which produces spicy citrus flavours with a good initial bitterness and long lasting finish. 4% ABV.